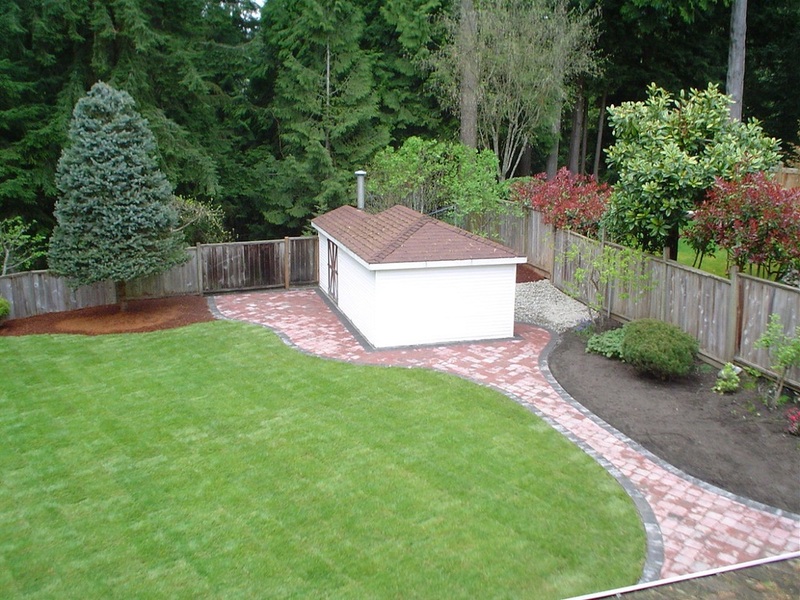 We recently hired Seymour Greenery to install a paver stone patio in our backyard. From the start we were extremely impressed with the courteous, honest and professional attitude of Seymour Greenery’s staff. As is our normal practice, we solicited three quotes and went with the middle price. The product and service we received was hardly mid-range, instead it was top notch. The work was done on time, despite poor weather and on budget, despite a change order initiated by us part part way through the job. When asked, Seymour Greenery offered professional advice regarding the design and colours of the patio and we decided to go with the suggestions - thankfully since we couldn’t be happier with the final result. It’s everything and more that we expected. We have employed Seymour Greenery for several projects. 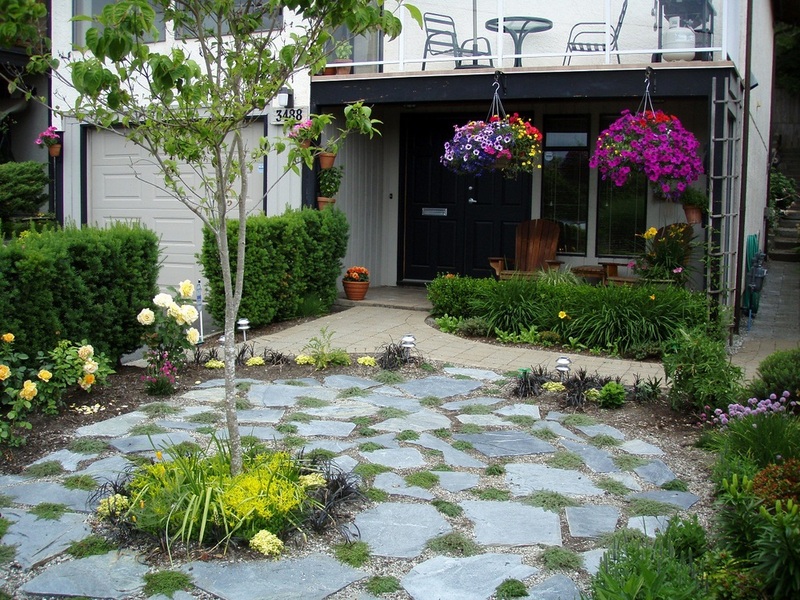 The most recent one completed was a retaining wall and removal of our front lawn and replacing it with flagstones. It looks great and has been admired by many in our neighbourhood. Our side yard had been plaguing us for years. What to do? Where to start? Decades of neglect had left us with a difficult planting site requiring a complete overhaul. Cue Seymour Greenery to the rescue. Custom stairs, retaining wall, a flagstone pathway, and over 75 plants, shrubs and trees later we have a brand new park-like side yard. Preparatory work such as tree trimming, soil preparation, and ground levelling were also taken care of, with the entire project turned around very quickly and exactly to schedule. In ten days, we went from a no-man’s land of scrub and weeds to the talk of the neighbourhood and our favorite place to relax. 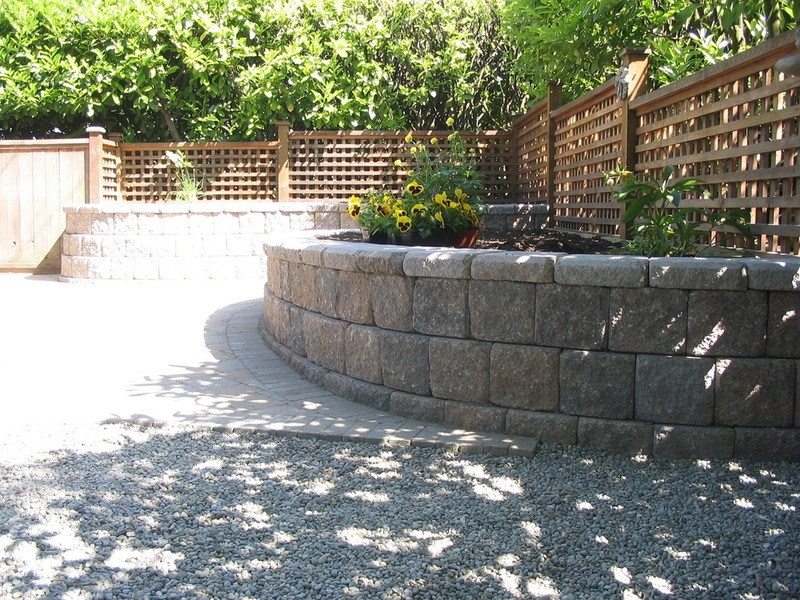 We contacted Seymour Greenery in June of 2009 to quote on solutions to deal with the failing retaining wall in our yard. Clint Scarth met with us to discuss options and we were immediately put at ease by his straight-forward, knowledgeable approach and friendly demeanor. Our yard is extremely steep and has difficult access which resulted in a challenging job and many permits being required. Seymour Greenery took care of everything and the project was completed on time and on budget with the same attention to detail that we give our home. I just wanted to send you a quick note to say thanks for the great job you and your crew did on our backyard. You changed it from a blackberry nightmare into a beautiful space. People I don’t even know have stopped to say how pretty it looks now. They enjoy how much everything looks like a park, instead of a blackberry tangle. We really appreciated how quickly and efficiently your crew worked. They cleaned up every night and worked very diligently. They cleaned areas quickly with the machines but also took the time and care to work by hand around the plants and features that were going to remain. It is rare to see such care and pride in the work one is doing. Even the neighbors commented on the obvious pride and enthusiasm as well as care that your crew had for the job. I think our neighbors appreciate our new yard as much as we do! Now that it has been a few months since planting I am enjoying watching the different plants come into leaf and flower. Your expertise in recommending plantings is much appreciated. There is always something new to watch coming into bloom and the varieties compliment the space beautifully. 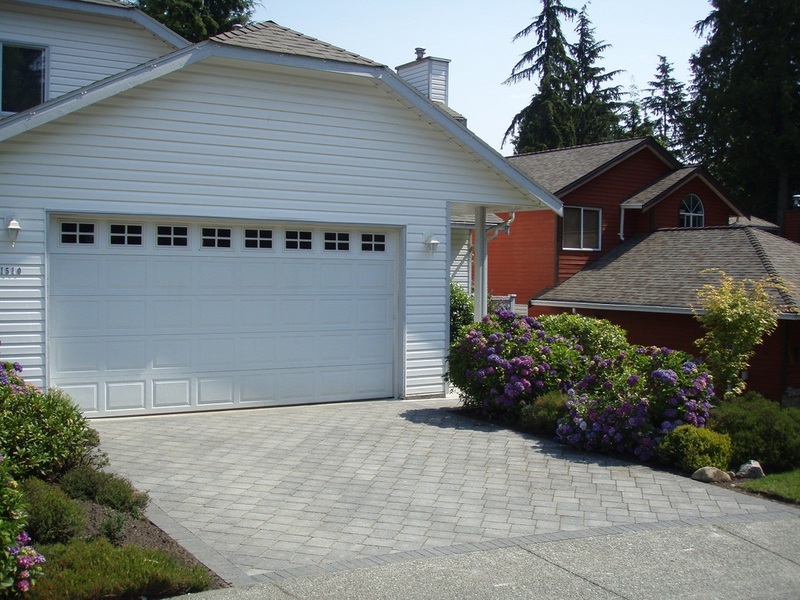 We hired Seymour Greenery in the fall of 2009 to install a new paved driveway. We had several other companies quote on the project, but were most impressed with the professionalism of Seymour Greenery and in particular, Clint Scarth. 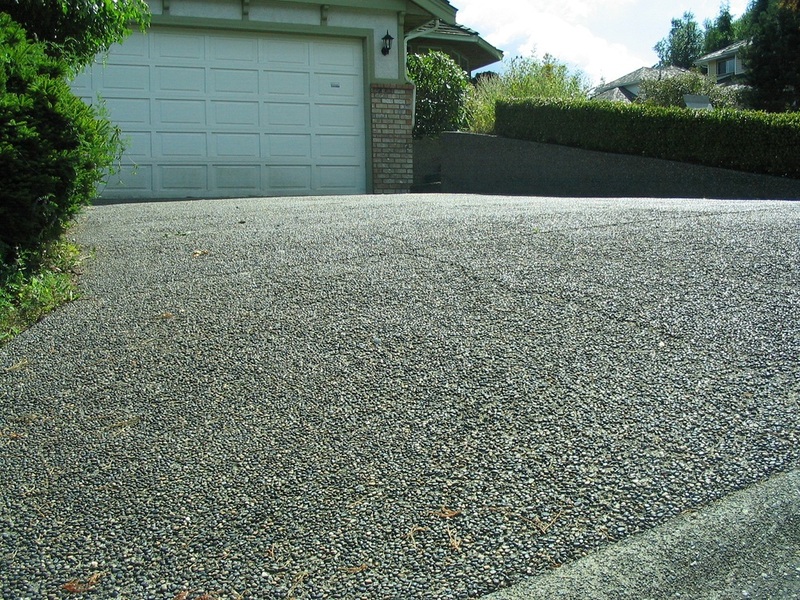 We really appreciated the time Clint spent with us answering our questions, referring us to other driveways he had installed to help us select the right colour of pavers, and assisting us with the overall design. We found Clint’s advice to be invaluable. In addition, Clint produced a very detailed and thorough estimate so there were few surprises when we received the invoice. The crew were equally polite, efficient and very hard working. We would leave for work early in the morning and come back at 6:00pm to find the crew still working. The whole team were very accomodating when small changes had to be made, and they took the initiave to add a few extra landscaping touches that made all the difference. The project was completed on time and on budget. Blair and I want to wholeheartedly thank you and your team for a job well done. We couldn’t be more pleased with the final result. 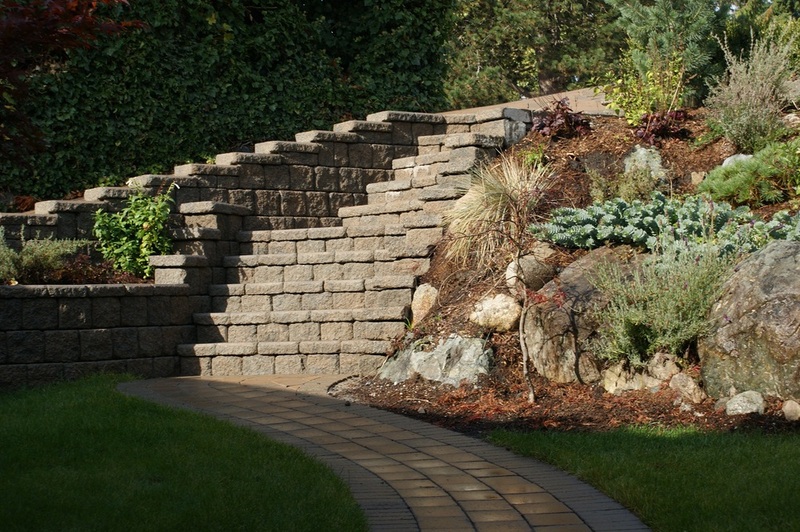 Our wall, driveway and pathway are so attractive that not only neighbors but complete strangers have remarked on them. As you know, many of the beautiful details were actually proposed by your team while the job was in progress. They certainly showed a high level of enthusiasm and pride in their work. Any of the small problems that arose were dealt with quickly. ust a short note to acknowledge the excellent service we received from both yourself and your team. We have had numerous contractors work on varying aspects of our home in the past and more often than not found the experience disappointing. I am very pleased to say this was not the case in all our interactions with your company. 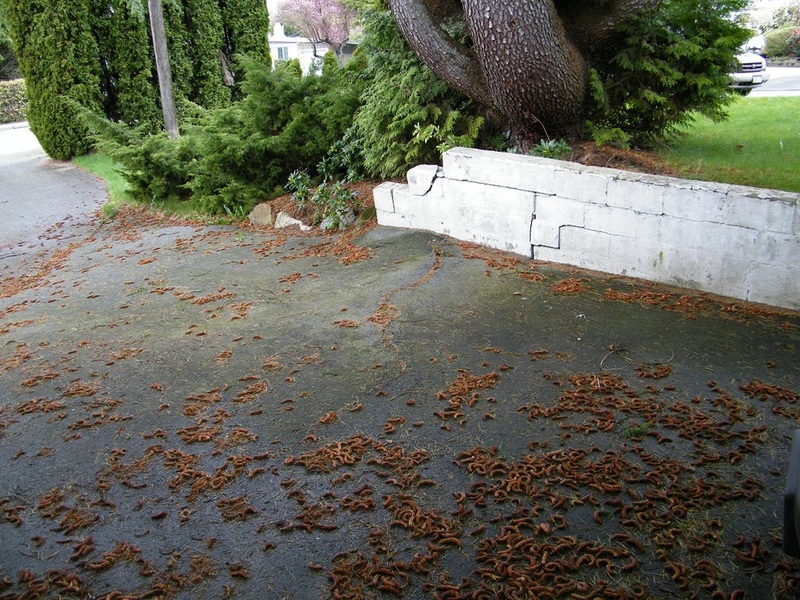 We would like to take this opportunity to thank the Seymour Greenery crew for a job well done. Our patio, driveway and walkway look terrific. Seymour Greenery was not only professional, knowledgeable, dependable, and courteous but the concern for quality was apparent as well. I have been asked to compile this letter to relate my experience with Seymour Greenery of North Vancouver. 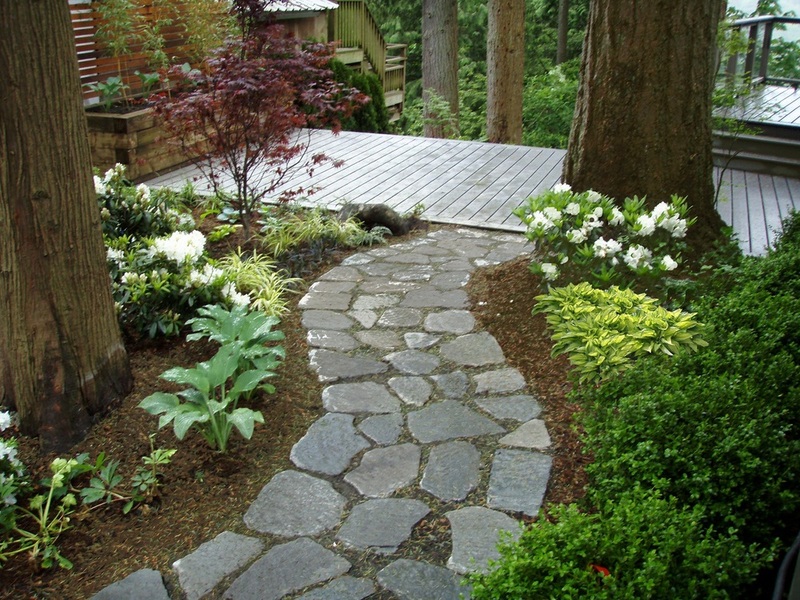 I contacted Seymour Greenery along with 5 other landscaping companies offering services on the north shore. Clint Scarth spent considerable time understanding my requirements and this was reflected in the comprehensiveness & completeness of his quote for the project. Based on the sense of his commitment to perform the work to my satisfaction, I selected Seymour Greenery over the other candidates. 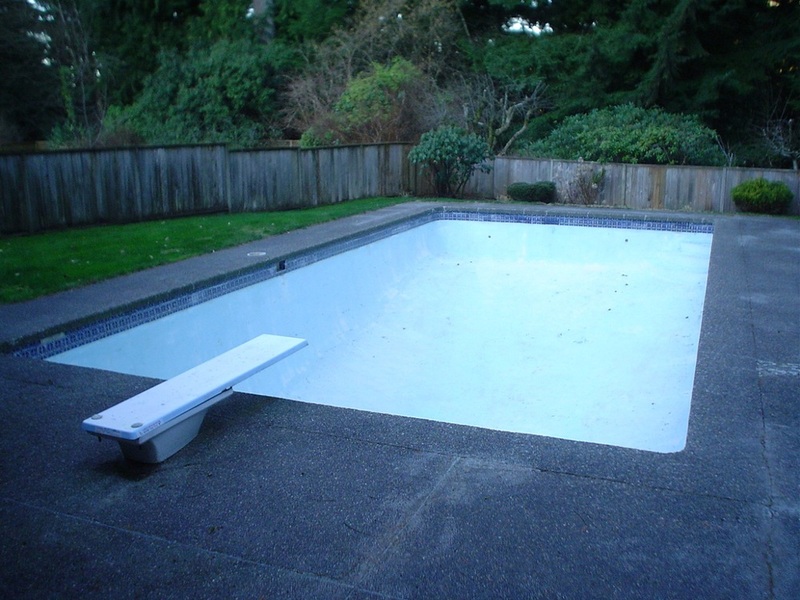 The job was quite complex as it involved the decommisioning of a large swimming pool and rehabilitation of the entire yard and walkways. Various options were discussed throughout the project always with an eye on the cost implications. As issues arose, as they always do, they were addressed promptly with no fuss. The crew were always courteous and efficient. Thank you Seymour Greenery for our lovely backyard. We can now enjoy it. The patio and planters are just as we wanted them to be. We appreciated you coming on time for every appointment. You and your crew were very good workers especially since we had a very small back yard to work in. Very neat and they seemed to get along. When we asked any questions about the job they could answer. We will enjoy the patio and planters this summer. 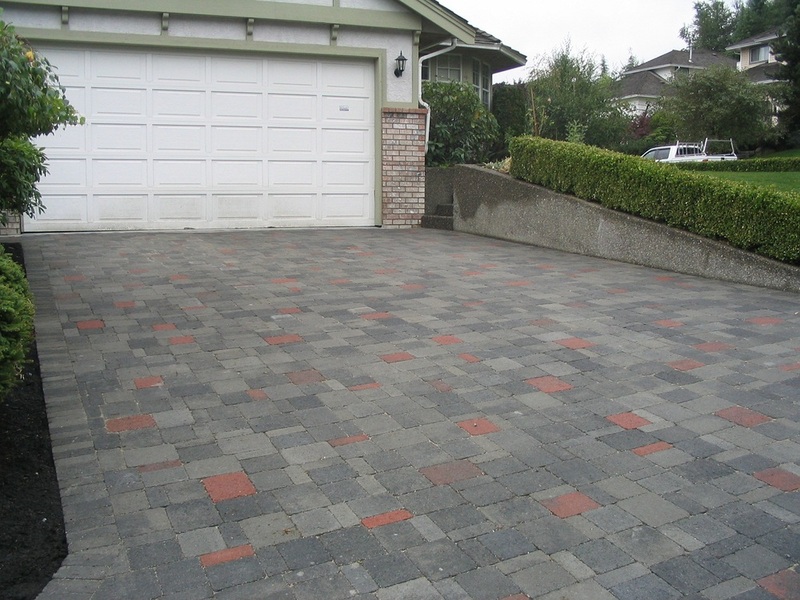 I want to thank you for doing such a beautiful job with my driveway and yard landscaping. It was a big undertaking, but I appreciated your straightforward bidding and costing structure, as well as the good communication throughout the project, so there were no surprises. I was impressed by the quality of the work from beginning to end, from the careful attention paid to proper site preparation, and doing things right through the construction process, to the fine design details that put the final touches on the finished product (I even had some neighbours comment on how they were impressed by the quality of the work all through the project). It turned out better than I envisioned. Not only was there quality in the construction, but there was also quality in aesthetic design.